Theater Review: “The Beauty Queen of Leenane” | Theater | Style Weekly - Richmond, VA local news, arts, and events. A mother-daughter fight fuels Henley Street’s latest. Though it is classified as a darkly comic drama, "The Beauty Queen of Leenane" can be more precisely defined as a duel. A crotchety old woman aggravates her spinster daughter while the daughter bullies her mother right back. Peppered with sly witticisms and delivered in the lilting cadences of western Ireland, their combat is immensely entertaining while also increasingly disquieting: What will it take for the stakes of their battle to become lethal? Director Bo Wilson could not have chosen better in casting the combatants in this duel. As Mag, the old woman, Mary Best Bova embodies passive aggressiveness with extraordinary detail. As depicted by Bova, Mag's complaints and contrariness are not a sign of petty peevishness but a symptom of an aging person's quiet resistance to mortality. Jill Bari Steinberg delivers a masterful performance as Maureen, an apparent connoisseur of life's bitter pills. Steinberg's genius is the measured way she reveals the layers of Maureen's personality, including an unexpected source for some of her tribulations. Stepping innocently into the midst of this slow-burning battle are Pato (Tony Foley), a potential suitor for Maureen, and his unwitting brother Ray (Alexander Sapp). The indiscriminate and often comic rage that Sapp brings to Ray is a perfect counterpoint to Mag's quiet crankiness. And Foley makes Pato an excellent foil for Maureen: They both seem to maintain hope for the future but Pato's is grounded in knowledge of the world while Maureen's is based on ignorance of it. The socio-political structure of Great Britain and the tension between Ireland and England encompasses the world of "Leenane," but if playwright Martin McDonagh is making a political point here, it was lost on me. Mostly, the intensity of the struggle between Mag and Maureen powers this play, from its deceptively leisurely first act where all the components of their life are introduced to the oddly calm ending when all of the pieces come apart. The action plays out on a simple but well-engineered set designed by Tennessee Dixon, complete with functional plumbing. Both the lighting design by Michael Jarrett and the sound design by James Ricks enhance several key moments. There were a couple of annoyances during the preview performance I attended. For example, one character approaches the wood-stove handle as if it were red hot, another grabs it casually. Special recognition should be paid to the dialect coach, Amanda Durst, who helps cast members stay unerringly on point with their Irish brogues. 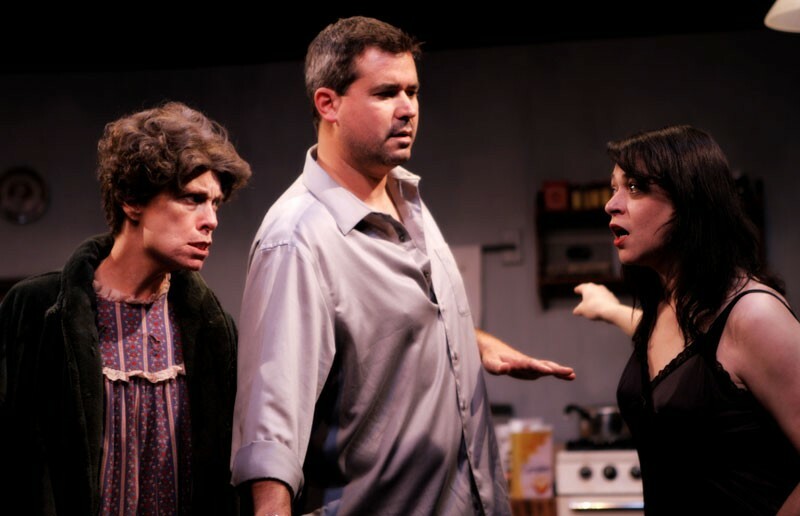 "The Beauty Queen of Leenane" plays through June 15 at the SPARC Center for the Performing Arts, 2106-A N. Hamilton St. Call 340-0115 or go to henleystreettheatre.org for tickets and information.